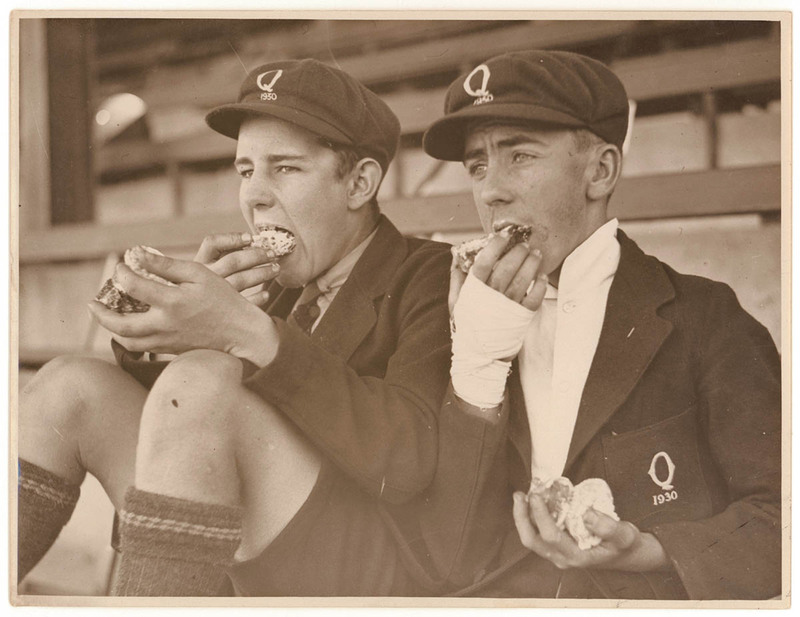 As part of a long tradition of junk food at sports days, these schoolboys have their hands full of cake. They seem to be sitting in an empty sporting stand watching the arena, although which event is capturing their attention is unknown. Judging by their caps the boys are possibly part of a cricket team playing for Queensland.